Pretty Little Liars meets Simon vs the Homo Sapiens Agenda - a sharp, slick high school mystery with a queer edge. 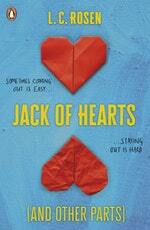 Love Jack Of Hearts (And Other Parts)? Subscribe to Read More to find out about similar books.